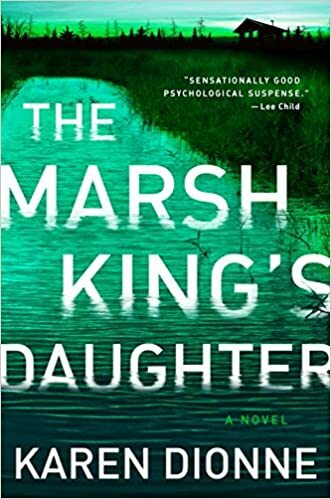 The introduction to The Marsh King’s Daughter by Karen Dionne tells us that Helena has been held captive for years as a child. It was Helena’s mother who was actually abducted by her father. The writing was good and I was interested. Into the main story and there is an immediate simplicity to the writing start. Helena is doing deliveries and looking after her daughter. There is warmth and comfort and everyday life. And then – the news comes on the radio that Helena’s father has escaped from prison. The story explores the aftermath of Helena’s father escape from prison through her eyes. It comes in the form of a dialogue with the reader and feels personal. Early on we find out that Helena’s husband knows nothing of her real background and it’s obvious that there is a lot to come out in this story. The book time shifts between the present day and Helena’s life in the marsh before she and her mother got away. We get Helena’s account of her childhood in the marsh and her life with her parents over the course of the book. I found this flowed quite naturally with me offering reflection on the past and action in the present. This is a very good tense tale at its simplest and well told too. However it does go quite a bit deeper than that for me. It is clear from quite early on that there is an ambivalence about Helena’s relationship with her father. Equally it is clear that the person she is now is in part a result of her circumstances in childhood as well as thing good and bad that she got from her father. I really did find this deceptively easy to read. All too often I thought “I’ll just read a bit more”. It became harder and harder to actually put down. An easy read maybe but a very good one indeed.